Botox continues to be the most popular cosmetic treatment in the United States. Botox has been FDA approved, through rigorous studies proving its safety, for many uses beyond cosmetic purposes, such as migraine headaches. At Refreshed Aesthetic Surgery and SkinCare we use Botox to help reduce or eliminate wrinkles in various areas, treat neck bands, provide eyebrow elevation and reduce enlarged masseter (jaw) muscles. Botox, when used at the recommended dosages, typically lasts about 3 months, although these results can vary from longer to shorter and from person to person. 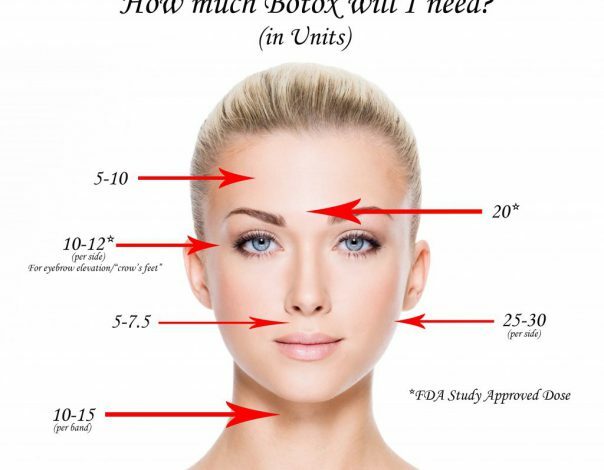 As a facial plastic surgeon, I use the following doses (units) of Botox for the areas shown. 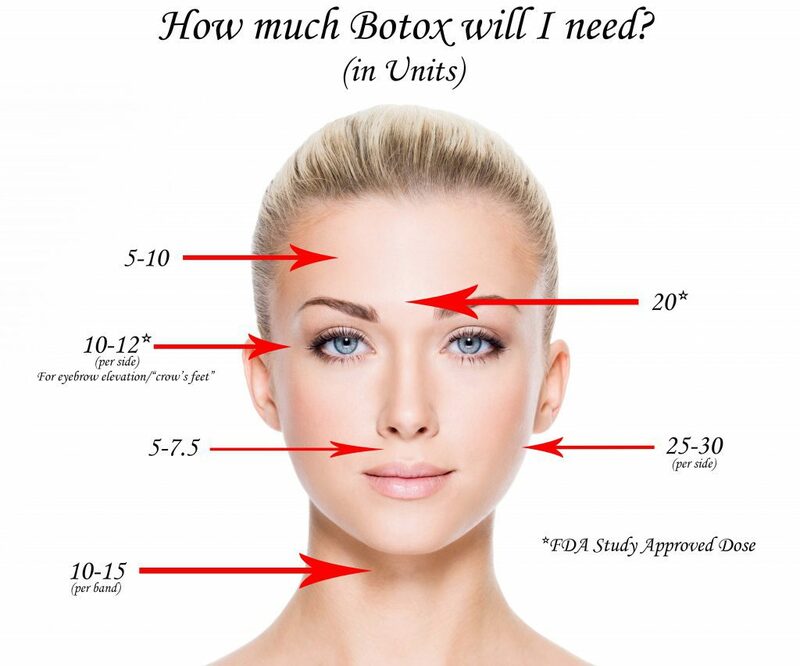 Our current prices for Botox can be found here. Please contact our office if you have any questions.